Mont Brouilly rises up all by itself, like a Sutter Butte, from the plains of the Beaujolais region in France. By California standards, it is really a hill, but the soils are pure granite. The top is covered with forest and the lower slopes are covered with vines. Granite and the Gamay grape go well together, and there are several more hills south of here, each with its own winemaking village. These are the ten Beaujolais “crus”: Brouilly, Regnie, Chiroubles (the lightest-bodied wines), Cote de Brouilly, Fleurie, St. Amour (more medium-bodied), Chénas, Juliénas, Moulin-avent, and Morgon (the fullest-bodied). 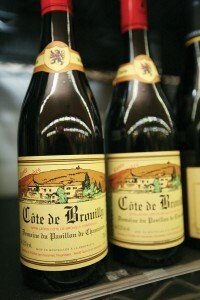 Cote de Brouilly is within the Brouilly appellation, higher up on the slopes. Interestingly, this particular bottling made from the top vineyard, “Cuvée des Ambassades”, is served by French embassies around world. Imagine being chosen out of all the fabulous wines made in France to represent the nation abroad. It made sense once I tasted it, fresh currants and berries on the nose, combined with an appealing minerality and silkiness on the palate. It’s one of the better wines I’ve had in a long time. Cerasuolo di Vittoria could be described as the Beaujolais of Sicily. It is full of bright fruit and good acidity, medium-bodied, silky and fine. In Sicily “cerasuolo” is the name for a blend of the Nero d’Avola and Frappato grapes — not to be confused with the Abruzzo rosé called cerasuolo, an example of which was recently reviewed in these pages. These are Sicily’s native red grapes and they are what winemakers there work with best; though as a result of the international marketplace, you’ll often see Nero d’Avola blended with ubiquitous French grapes like Cabernet Sauvignon, resulting in inelegant wines that taste like they came from anywhere in the world. Centonze’s Cerasuolo is a traditional wine, showcasing the terroir of Sicily. The winery itself is a modern one, and the head of the family is a formally trained enologist, but the goal is to make traditional wines rather than International wines. Crack it open with a plate of salami and cheese and enjoy this crisp fall weather! Really enjoyed the Cote De Brouilly, thanks for that. More generally, thanks for your wine picks and writing–you are by far my favorite wine writer, and right here in Sacto. You are the best! Wow, thank you! 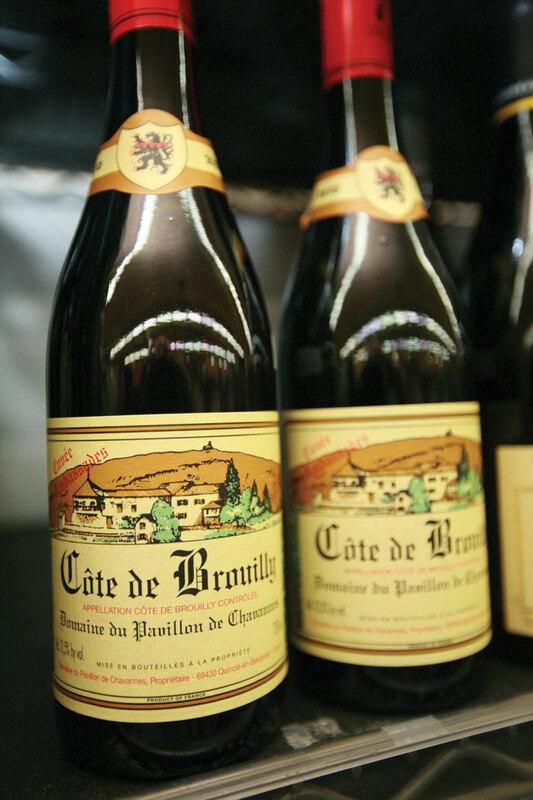 And so glad you enjoyed the CdBrouilly…beautiful isn’t it? Yes, very much so. Keep up the great work!